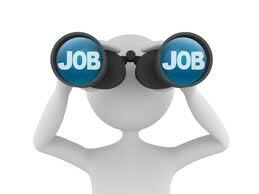 Find industrial engineer career job description sample (ex. 26008), position duties, work roles and responsibilities example. 1) Responsible for identifying, chartering, and delivering the project results on time. 2) Provide project updates to the factory leadership team and project stakeholders highlighting the current status, adherence to the project time plan, work accomplished, quick wins, points of escalation, elements of risk the associated mitigation plans. 3) Develop project teams on key skills to drive improvement. 4) Utilize tools methodologies to drive sustainable operational improvements. 5) Analyze given data and operating conditions; implementing changes follow-up on results by involving key responsible people. 6) Determine means to reduce material usages, material losses rework, and to achieve energy savings. 7) Carry out follow-up programs to maintain the achieved savings, to complete additional training, to detect further savings opportunities, ensure the overall continuity of the project. 8) Determine the optimum machine speed, production cycles and line crewing that are required for master scheduling, and for short term planning control. 9) Carry out the respective trials, together with the supervisors managers, before any change or newly designed system or method is installed. 10) Assist the operations, supervisors, and mangers for adapting changes to take the necessary actions any other steps required to make sure the achievement of the best possible result. 11) Work collaboratively with product development, marketing, supply chain, finance, and operations to bring new products to market meet the defined project objectives. * Other work duties may be described based on the business/industry needs from - industrial engineer - position.